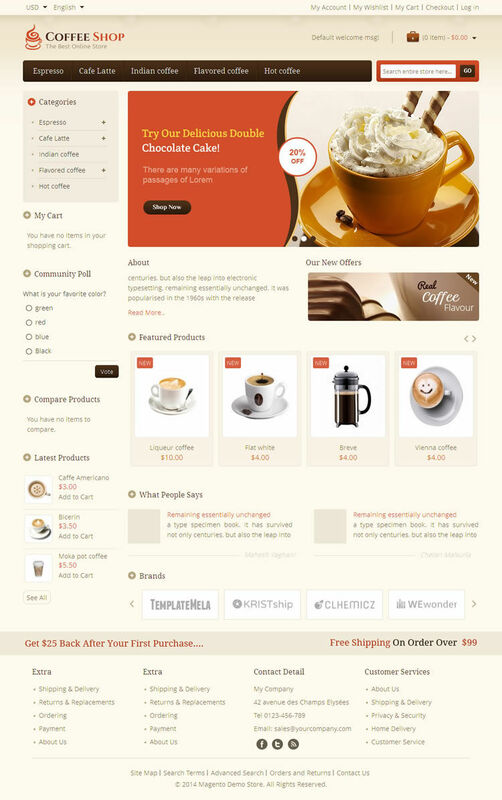 Coffee Shop Magento Template is designed for coffee, chocolate, restaurant and food store. 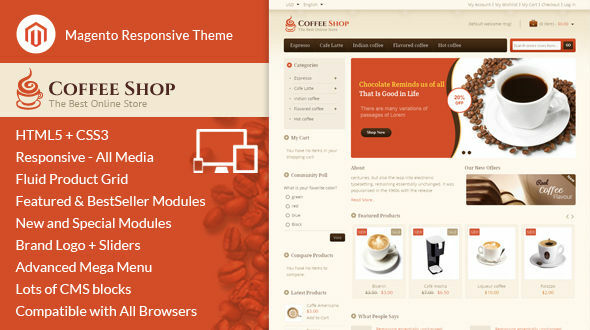 Coffee Shop Magento Template is looking great with colors. All sub pages are customized. It is very nice with its clean and professional look.